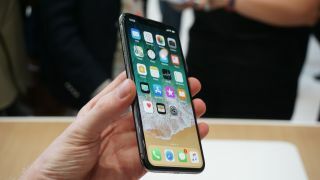 With both Samsung and LG working on folding phones it’s likely that Apple will jump on board at some point, but a new rumor suggests the iPhone maker will be far later to market with one than its main competitor. In fact, while Samsung could launch the folding Galaxy X as soon as next year, Apple might not release a folding handset until 2020. According to The Investor, Apple has partnered with LG to make a foldable screen rather than Samsung (which is Apple’s current OLED screen supplier), a decision which may apparently have been made due to concerns that Samsung would get access to sensitive tech. While LG has supposedly created a task force to develop a foldable OLED screen for a future iPhone, unnamed industry sources claim panel production won’t begin until 2020. Although this is all just rumor, and should be taken with the appropriate amount of salt, it makes sense that Apple would use LG rather than Samsung, as that could help break Samsung’s OLED monopoly. However, LG’s OLED production capabilities aren’t currently a match for Samsung’s, so that could be part of the reason why we might not see a foldable iPhone until 2020; that, and the fact that Apple probably won’t want to launch one until the tech has been perfected. The Samsung Galaxy X, even if it does arrive next year, will likely be a test run for the tech, sold in relatively small numbers – so you might be best off waiting until 2019 or 2020 to buy a folding phone, whichever brand you prefer.